U2 were joined by Bruce Springsteen for the final night of their 8-show residency at New York’s Madison Square Garden on Friday. U2 were also joined by guests including Jimmy Fallon and Lady Gaga during their residency at the famed venue. 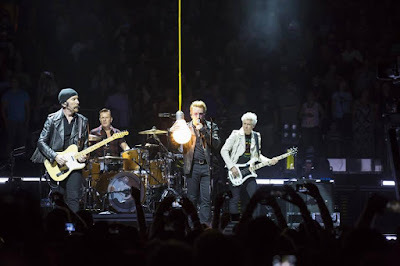 Friday’s concert was the final date of the North American leg of U2’s “Innocence + Experience” tour, which opened in Vancouver on May 14. The band will now enjoy a five-week break before returning to live action in early September to play shows across Europe.